In 2008, they finished at the fourth position in the points table. In the Semi-final, Rajasthan Royals thumped them by 105 runs. In the following season, Deccan Chargers defeated them by 6 wickets in the Semi-final. They didn't make the qualifying round in 2010 because of their low Net run rate. They received a sudden sink in 2011 when they finished at the bottom of the points table. In 2012, their improved performance enable them to finish at the top of the table. However, they again lost in the Semi-final. Carlos Brathwaite - The 27-year old all-rounder from Barbados has been among the headlines since the final of ICC World Twenty20 2016. He displayed his hard hitting skills at the time when his nation needed them the most. Sanju Samson - The 21-year old wicket-keeper batsman from Kerala has already left a mark in the IPL. Having represented Rajasthan Royals in the past, he has batted in both the top and middle order. The right-hand batsman may not look big, but certainly hits big. Chris Morris - Having played for Chennai Super Kings and Rajasthan Royals in the past, the 28-year old fast-medium all-rounder from South Africa is an exciting T20 prospect. Pawan Negi - The 23-year old left-arm orthodox bowler bagged the highest deal among Indian players in this year's auction. Having played for Chennai Super Kings in the past, Negi has it in him to hit the white kookaburra to all parts of the ground. He also made his debut for India against UAE in the recently concluded Asia Cup. Sam Billings - The 24-year old right-hand batsman from England is capable of scoring quick runs. He can be an able replacement for any of the overseas batsman (if required). Joel Paris - Having made his debut against India earlier this year, the 23-year old left-arm fast-medium bowler impressed everyone playing for Perth Scorchers in the Big Bash League. Pratyush Singh - The 21-year old bowls leg spin to go with his batting abilities down the order. Akhil Herwadkar - The 21-year old left-hand batsman usually bats at the top of the order. He is another of those batsman who play proper cricketing shots. He can also bowl right-arm off-spin. Khaleel Ahmed - The 18-year old left-arm medium pacer from Rajasthan represented India earlier this year in the ICC U-19 Cricket World Cup. Mahipal Lomror - The 16-year old all-rounder was also a part of India U-19 team. The young lad bats left-handed and bowls left-arm orthodox. Rishabh Pant - The 18-year old wicket-keeper made his Ranji Trophy debut for Delhi in this season. The stylish left-hand batsman bats at the top of the order and goes for his shots from the word go. He was also a part of the India U-19 team. Karun Nair - The 24-year old right-hand batsman has played for Royal Challengers Bangalore and Rajasthan Royals in the past. The elegant batsman has started to make a name in Indian domestic circuit. Pawan Suyal - The 26-years old left-arm medium pacer has represented Mumbai Indians in the past. 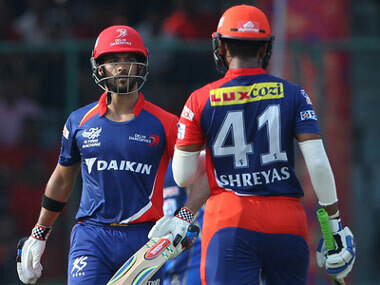 Along with the fresh faces, Daredevils also have some tried and tested faces in their squad. Quinton de Kock has made India his second home, considering the number of runs he scores in India. He will be a key for Delhi at the top of the order. Shreyas Iyer was the highest run-scorer in the recently concluded Ranji Trophy. He has been a revelation for cricket fans since the last IPL. He would want to continue his purple patch in this edition as well. Mayank Agarwal is another attacking batsman for Delhi. JP Duminy is the most apt player for Delhi's middle order. Given his ability, Delhi's batting can revolve around him. His right-arm off-spin will also come handy for the team. The fast bowling department will he headed by the skipper, Zaheer Khan. The fact that he will lead the side makes it interesting for fans to see how he goes with things in his post-retirement era. To partner him will be Mohammad Shami. Shami, also coming from an injury will be itching to take early wickets in order to get his confidence back. Nathan Coulter-Nile is an overseas option for Zaheer in the fast bowling division. Chama Milind will also be looking to get a look at some point in the tournament. To join the fast bowlers will be Delhi's spinners. Imran Tahir has done wonders for South Africa in the shortest format. He will play a key role in the bowling department along with his Indian counterpart in Amit Mishra. Shahbaz Nadeem and Jayant Yadav will be available as reserves for the Daredevils. Zaheer Khan will lead the side. Paddy Upton will be their Head Coach for this season. To assist him, will be Pravin Amre, Sridharan Sriram and T.A. Shekhar. 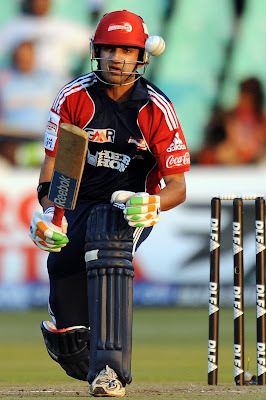 Delhi Daredevils will further be bolstered by the addition of Rahul Dravid as the Team Mentor. The team will play it's home games in Feroz Shah Kotla Ground, New Delhi. However, their first assignment is against Kolkata Knight Riders in Kolkata. The side looks much settled than what it was in 2015. The addition of some quality names further increase their chances in this year's IPL. We have seen retired cricketers like Shane Warne and Adam Gilchrist leading their teams to maiden title wins in the IPL. 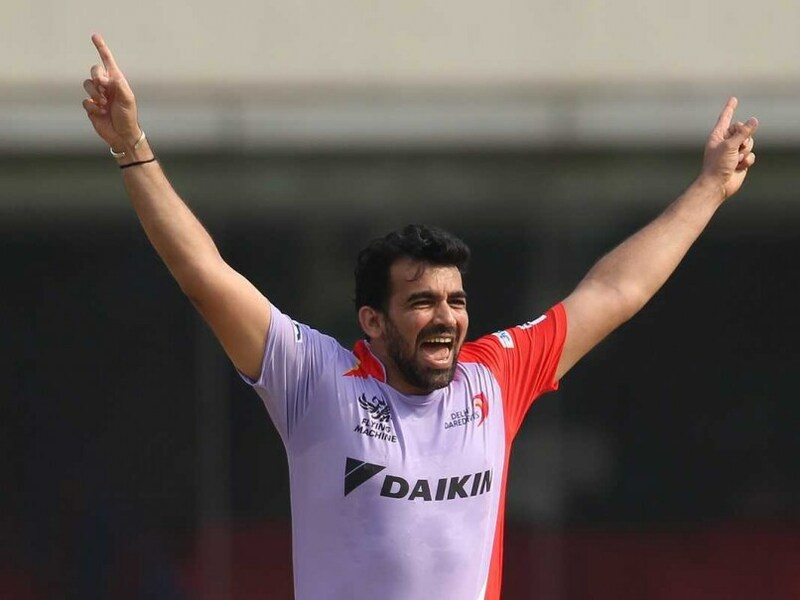 Will Zaheer Khan be able to do the same for Delhi Daredevils is the big question.